The Horse Lover's Park section of the Reach-11 Recreation Area is located in North Phoenix, just south of the Loop 101/Tatum Boulevard interchange (exit 31). Coming from either the west or the east, travel on the Loop 101 to the Tatum Boulevard (exit 31). Turn south and continue 0.8 on Tatum Boulevard to the Horse Lover's Park entrance on the west side of Tatum Boulevard. Enter the park and immediately take the first turn left (south). 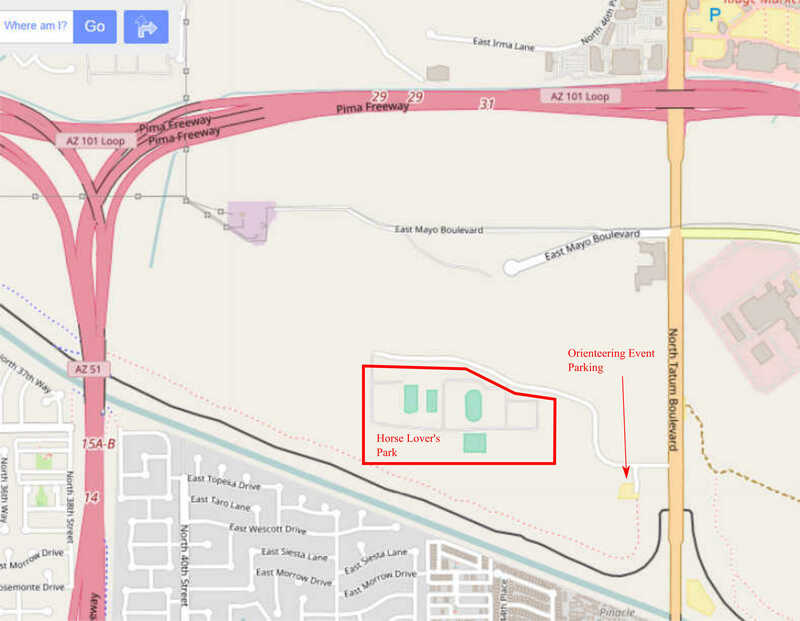 The event location is in the small parking area just east of the main Horse Lover's Park facilities.